Knife Rights has donated Lady Liberty’s Steel™ – Freedom’s Flame™a stunning one-of-a-kind 21.5-inch Mosaic Damascus dagger by acclaimed Master Smith Audra Draper, to be auctioned off at the National Rifle Association’s 9th Annual Women’s Leadership Forum Luncheon and Auction during the NRA Annual Meeting in Nashville, Tennessee. Lady Liberty’s Steel™ – Freedom’s Flame™ was conceived of, and sponsored by, Knife Rights expressly for the NRA’s Women’s Leadership Forum Auction. 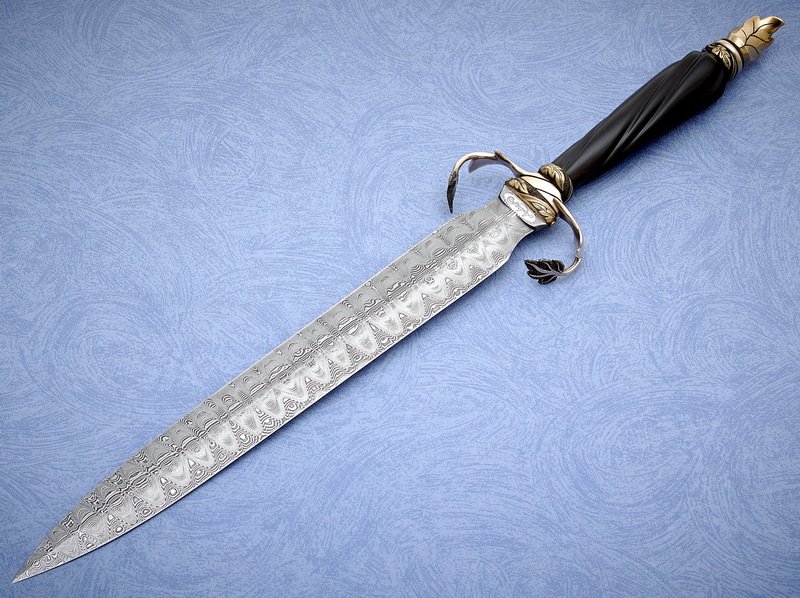 A Damascus dagger is among the most difficult of blades to make due to the symmetry required. 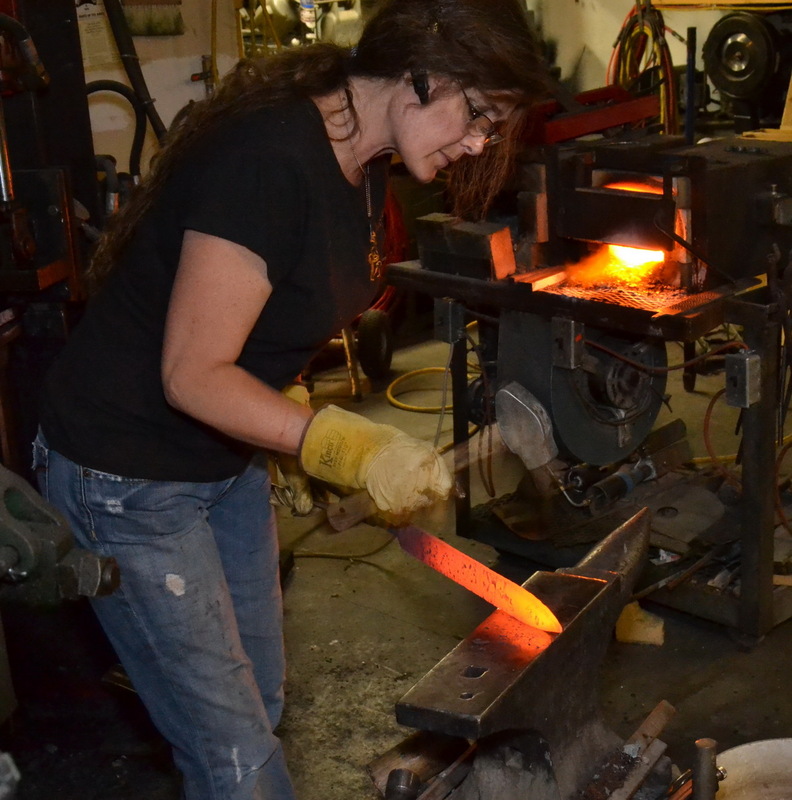 It took a month of effort for Audra to forge and grind the 13-inch double-edged blade into its distinctive and historic shape symbolizing courage and daring. 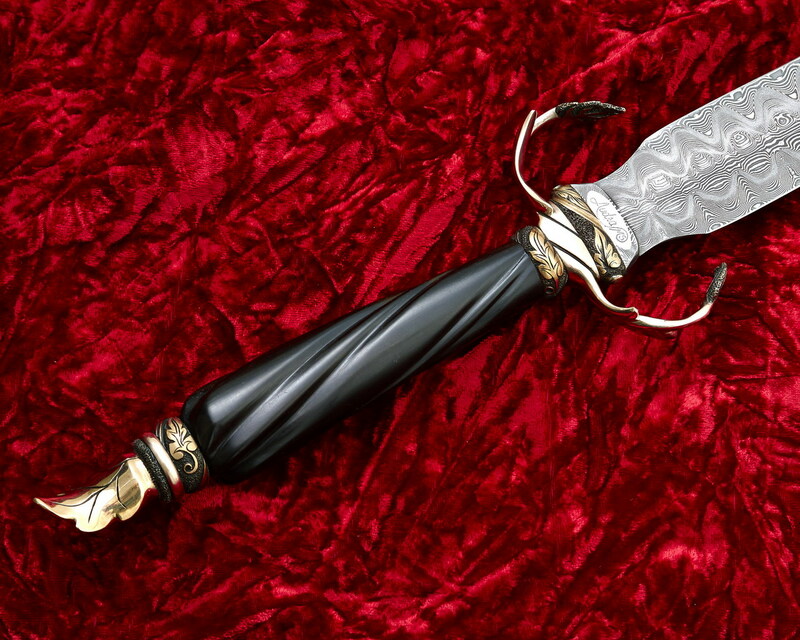 Then it was time for the embellishment and a handle to compliment the dramatic Mosaic Damascus blade. Bronze and African Blackwood were the materials chosen to grace her beautiful lines. A ferule and double guard were hand-crafted and then engraved with leaves to symbolize the celebration and promise of new life. The carved and stippled leaves surround and embrace the blade. Below the hand-carved spiral-fluted Blackwood handle a shining ring of engraved bronze cradles the handle, symbolizing a nation of unity. The decorative pommel is an engraved leaf fashioned into the likeness of a flame; Lady Liberty’s Steel™ was born in flames, and it is also symbolic of the torch Lady Liberty holds aloft welcoming the world to the freedoms we hold dear in America — Freedom’s Flame™. Finally, she was done. Audra etched Lady Liberty’s Steel™ – Freedom’s Flame™ with her distinctive maker’s mark at the base of the blade. Mike Draper, Audra’s husband, took extensive Work in Progress (WIP) photos of Audra crafting this exquisite work of art, from beginning to completion. The purchaser of Lady Liberty’s Steel™ – Freedom’s Flame™ will receive a USB Drive with 598 WIP photos, plus the Terrill Hoffman studio photographs of the finished knife. A sampling of these fascinating WIP photos can be viewed by clicking here or on the montage below. Lady Liberty’s Steel™ – Freedom’s Flame™ is presented in a custom-built black cherry case by Brookfield Case. The case is 30 inches tall, featuring glass on all four sides and the top. 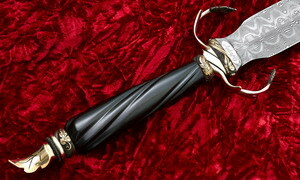 The dagger is displayed vertically for the most spectacular presentation. Studio Photography of Lady Liberty’s Steel™ – Freedom’s Flame™ courtesy of Terrill Hoffman. Work in Progress photos by Mike Draper. 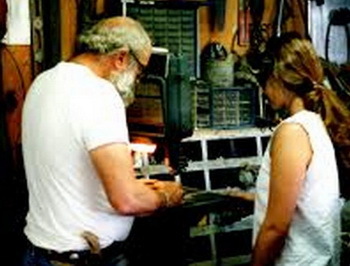 Audra Draper was the first women to ever achieve the rating of Master Smith from the American Bladesmith Society. 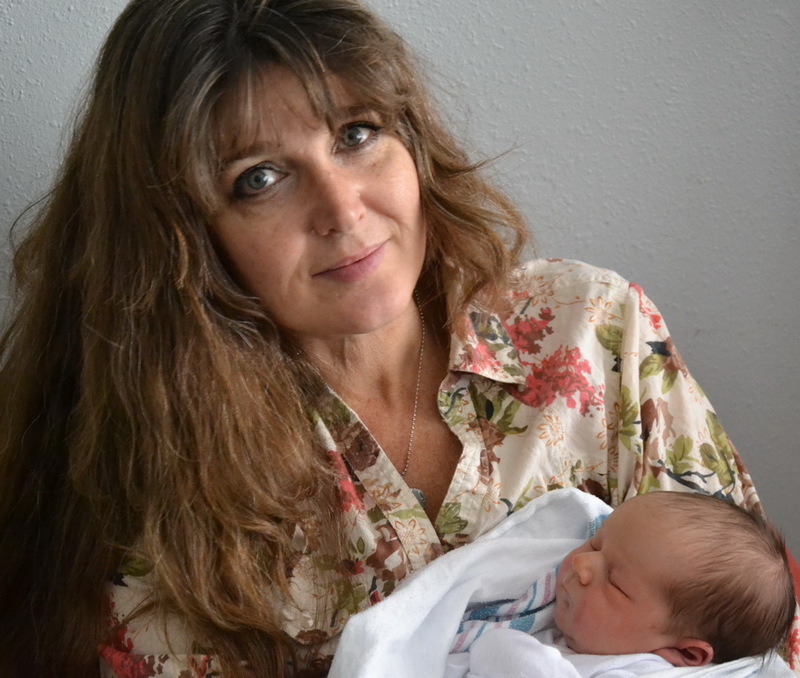 Born in Blythe, California, in 1969, Audra’s family moved to Wyoming in 1971. Audra says, “I got here as soon as I could.” Audra spent her teenage years logging with her father, living the summer months on a mountain top. 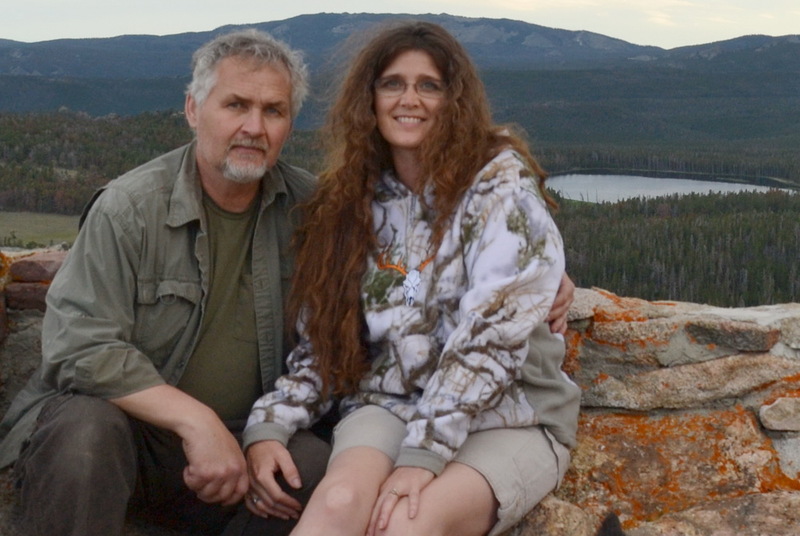 Audra’s childhood developed in her a passion for Wyoming’s spectacular mountains and the outdoors. 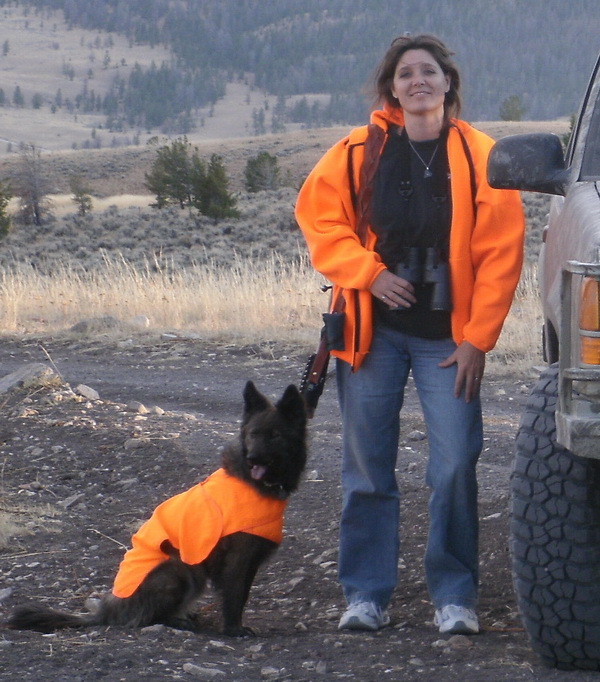 She enjoys hunting, camping and hiking. Audra married young and was divorced with three children by the age of 21. She says, “by the grace of God I met a great man who was also divorced and raising three children himself.” In 1994 Audra and Mike Draper were married and began their crazy journey raising all six of their children. The Drapers now have 13 grandchildren (left), all of whom enjoy the outdoors to the fullest. 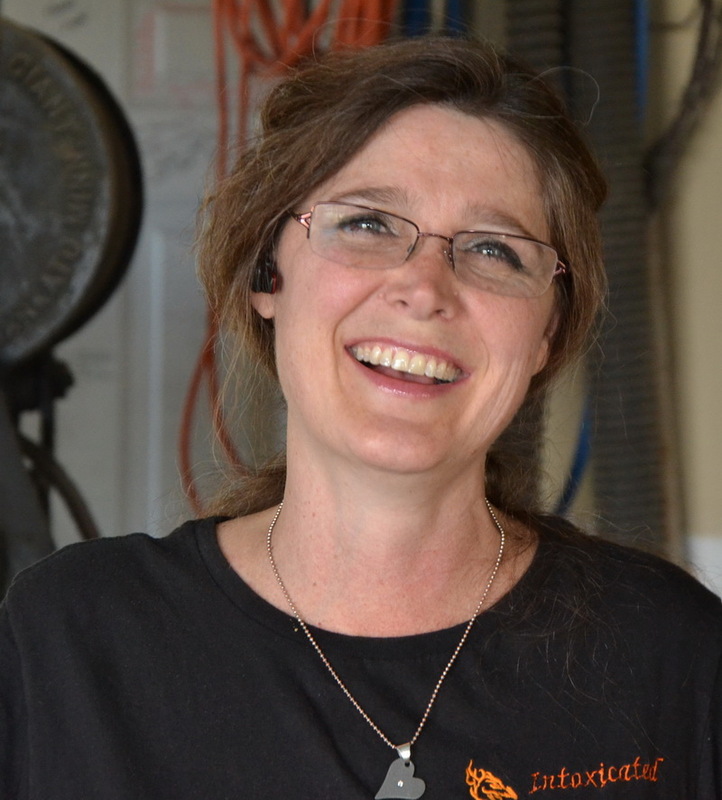 Audra’s passage to knifemaking began in 1992 when Audra hired on as a ranch hand working for Ed Fowler, a renowned Master Bladesmith. However, it wasn’t until she had been working for Fowler for months that she realized that he made knives. Her interest was piqued, but when she asked him to teach her how to make knives, he responded, “girls can’t make knives!” In hindsight, she notes, “Ed did have a degree in psychology, I think he was baiting me.” In any case, she persisted, proving she had one of the critical qualities needed to becoming a bladesmith– tenacity. 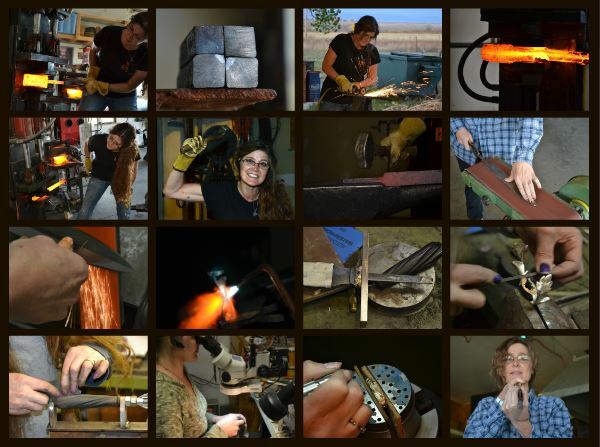 Later in 1992 Audra applied for, and was awarded a Wyoming Workforce sponsored grant for “Women in a Non-Traditional Role” that paid Audra to study knifemaking with Fowler, enabling her to focus more of her time at perfecting her craft (below left). 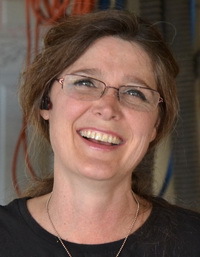 After serving her apprenticeship, in 1996 she attained the Journeyman Smith rating from the American Bladesmith Society. 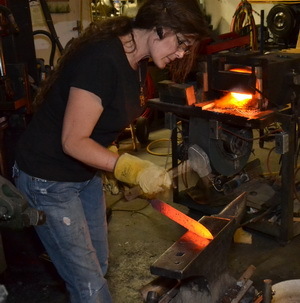 She rented a shop in town and she began forging Damascus knives in earnest, the next step in her growth as a bladesmith. A year later they bought land outside of Riverton and began building a shop, followed by a house. You can see where her priorities lay. In 2000 Audra passed the demanding Master Smith test, breaking the all-male barrier that had existed since ABS’ founding. There are today only 111 Master Smiths in the ABS, and only two women, including Audra, among them. Meanwhile, in a reversal of traditional roles, Mike developed an interest in making knives, joining Audra in the shop. In 2003 he earned his Journeyman Smith rating from the ABS. In 2009, with all six children raised, and the last few heading to college, Audra decided to go back to school. 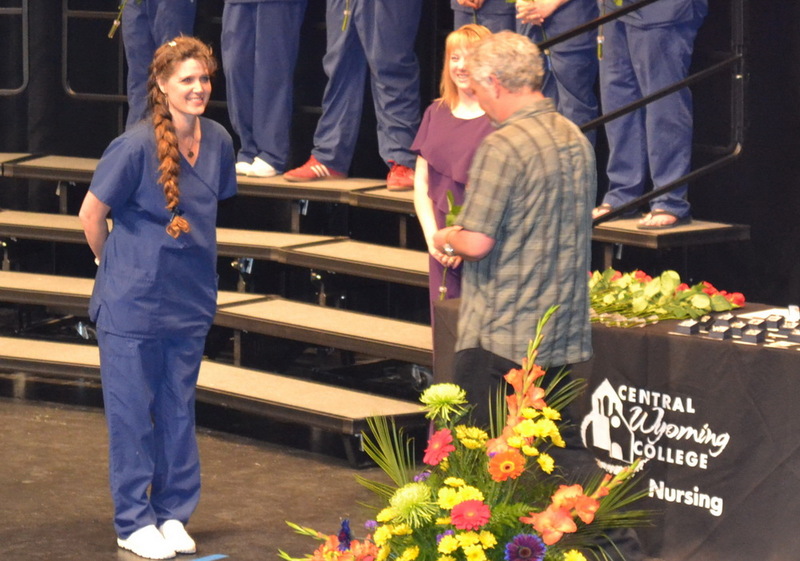 Searching for a rewarding opportunity that would offer her medical insurance and fulfill a need to continue caring for others, she entered Nursing School at Central Wyoming College, graduating in 2013. Now a Registered Nurse, Audra works with the disabled at a state facility. She continues to make knives in the evenings and on her days off. The Drapers enjoy teaching and offer bladesmithing classes a couple times a year at their shop in Riverton, Wyoming. Most of the students are women, but men are allowed. Display Case: Brookfield Case, Inc.
Brookfield Case is this country’s oldest and largest manufacturer of custom presentation cases. Brookfield Case has built its reputation by serving the collectable firearms and knife industries. The company is proud to specialize in custom wood cases for commemoratives, special editions and unique, one-of-a-kind items and museum pieces. Brookfield’s cases are the benchmark of quality for the industry. Each case reflects the skill and pride of its craftsmen. From the furniture finish of fine hardwood, to the plush velvet interiors, Brookfield cases provide the perfect showcase for any display or presentation. Brookfield provides custom cases as well as limited production and production cases to many major manufactures, distributors, dealers. Brookfield Case founder Les Yoder has been in the furniture business as a master craftsman for over 40 years. His experience in early English and French reproductions, high-end executive office furniture and fine clock cabinets is seen in every piece that his highly skilled craftsmen build. Terrill Hoffman Photography is a privately owned studio dedicated to meeting the photographic needs of the individual knifemakers from around the world. We have been in operation in North Carolina since 1985. While we have elevated our photographic skills over that time, we have done even more. We have learned the desires and problems that face the average knifemaker in building up a business from what most often has started as a hobby. Along with the technical aspects of both businesses, there is also the same problems of advertising and marketing that face the photographer and knifemaker. It is our desire to help by giving knifemakers a photographic record of their knives. With more women picking up firearms than ever before, and with so much at stake in our country, there is no more vital time than now to stand up and take an active role in preserving our cherished freedoms. The NRA Women’s Leadership Forum is the only philanthropic society of its kind and the fastest-growing community in the NRA. Not only do we care deeply about the future and want to make a lasting difference; we also have a tremendous amount of fun doing it.